Ready to Bring Your Dream Business to Life? 100% free 3-part video training series. A simple 6 step roadmap to help you launch and grow your business online with class and smarts. The exact framework I used to build a highly profitable global brand. What you need to focus on first, second, third and so on to eliminate overwhelm and take consistent action. 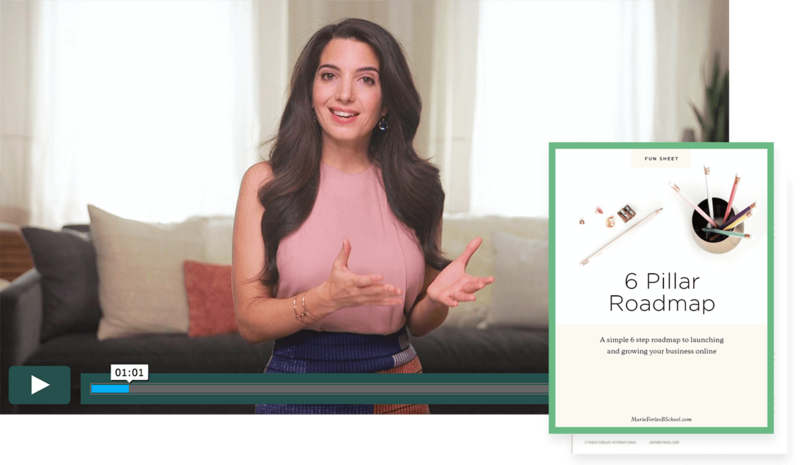 She’s mentored young business owners alongside Richard Branson and is the creator of the award-winning show, MarieTV, with over 44 million views. She’s the founder of B-School, the online business training which has helped over 44,000 entrepreneurs start and grow their businesses. Through her Change Your Life, Change The World initiative, every product purchased helps support a person in need.